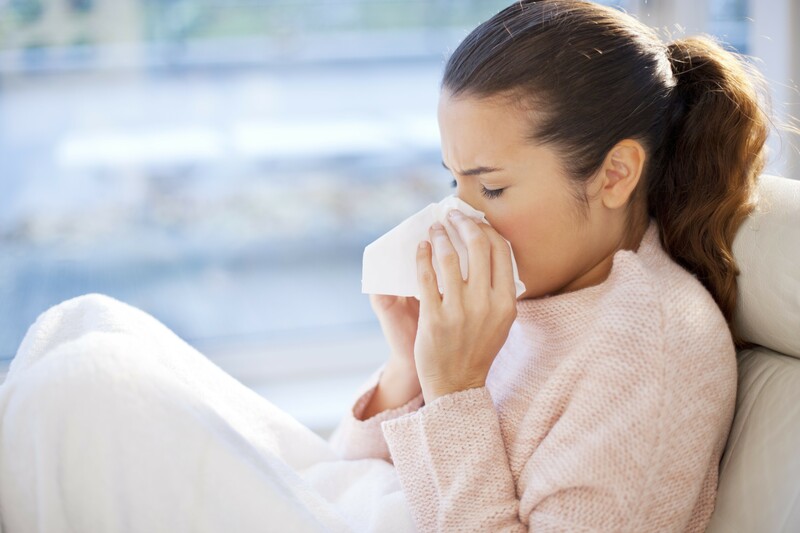 Ready or not, here it comes again: cold and flu season! Besides being miserable, it’s also hard on your skin. Blowing your nose, stress, and taking medication to manage the symptoms all have detrimental effects. If you’re struck with a winter malady, here are some tips to keep your skin in better condition. If you look better, you’ll feel better! 1. Apply a cold gel mask to the skin. This can soothe puffy eyes and provide relief of sinus pain and pressure. 2. Use a humidifier in your bedroom at night. Dry winter air takes moisture wherever it can get it – including from your skin. If you are taking decongestants (which also dehydrate the skin), you may end up especially parched and dry. 3. Keep moisturizer on your nose at all times. Your nose area can quickly become red, dry and irritated when faced with a constant barrage of tissues. Continually applying a small amount of cream to the nose area will provide instant comfort and help prevent damage. 4. Drink plenty of water or green tea. Keeping fluids in your system can flush away toxins and keep your internal temperature down. 5. Always wash your face before bedtime. You may not realize it, but you touch your face all day long, often without intentionally doing so; making your face one of the dirtiest parts on your body. It’s important for the health of the skin to cleanse at night to reduce acne-causing oil and bacteria. 6. Avoid greasy hand creams if you are prone to acne. During the dry winter months you may be using a heavier hand cream to alleviate dryness. Most often this cream is applied right before you go to bed. If you sleep on your side with your hands on your face, the cream may be getting into the skin and clogging the pores. If you find that this may be happening to you, sleep with cotton gloves. Ready to relieve your dry and tired skin? Schedule a rejuvenating appointment with us today!